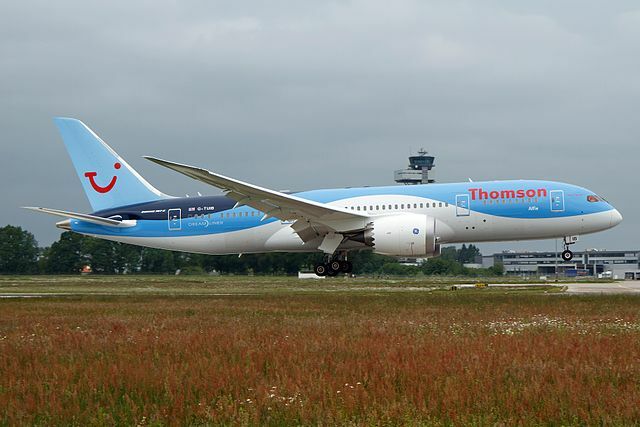 [ITV News] Thomson Airways said a Dreamliner flying to Florida returned to Manchester after a “technical issue”. A spokeswoman said: “Thomson Airways can confirm that flight TOM126 travelling from Manchester to Sanford, Florida experienced a technical issue and the aircraft returned to Manchester Airport, as a precautionary measure. “Passengers have disembarked and our dedicated team of engineers are now inspecting the aircraft. Our customers will be moved to an alternative aircraft to ensure they get away on their holiday as soon as possible. Read the original story at ITV News…..
[Guardian] As the battery in one plane explodes it is followed by a fuel leak in another, both incidents were at Boston airport and both aircraft are owned by Japan Airlines. Two Boeing 787 Dreamliner planes have been the subject of safety scares within two days at Boston airport in the US, adding to concerns about the aircraft. On Monday, an electrical fire erupted on one of Boeing’s 787 Dreamliners operated by Japan Airlines at Boston Logan international airport. Authorities said a battery in the auxiliary power unit aboard the plane jet had suffered “severe fire damage”. On Tuesday at the same airport, a fuel leak forced a different 787 operated by JAL to cancel takeoff. 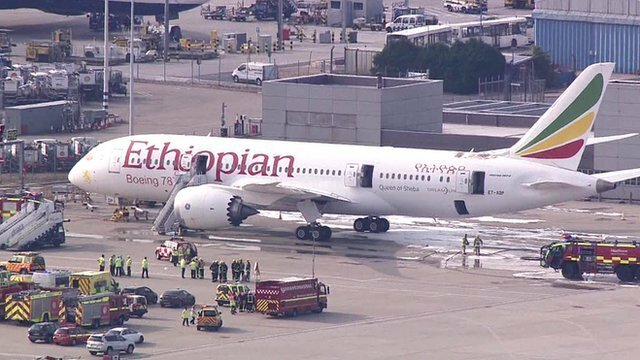 Massachusetts Port Authority spokesman Richard Walsh said the plane was towed back to the gate after about 150 litres (40 gallons) of fuel spilled. He said the plane had 178 passengers and 11 crew members on board. Walsh said the plane was evaluated and departed that afternoon. A JAL spokeswoman said the crew had reported a “mechanical issue”. The two incidents have extended a series of problems that have dogged the jet for more than a month and increased concern about the plane. The fire broke out on an empty Dreamliner jet parked at a gate in Boston. Officials said a battery in the auxiliary power system exploded around 10.30am, shortly after passengers had disembarked. A mechanic inspecting the jet discovered smoke while performing a routine post-flight inspection. The Federal Aviation Administration and the National Transportation Safety Board are looking into what caused the problem, which came within weeks of Boeing enduring a string of other electrical problems that briefly grounded three of the planes. The new jet also has suffered an engine failure and fuel leaks in the 14 months it has been in service. The electrical fire is troubling in part because the 787 relies heavily on electrical power to drive onboard systems that in other jet models are run by air pressure generated by the engines. The new jet also suffered an electrical fire during a test flight, prompting a redesign of electrical systems. The Dreamliner is Boeing’s first jet to be made of carbon composites rather than aluminium, a change that reduces the plane’s weight and allows it to use less fuel. [NY Daily News] The Indian government warned striking pilots of state-run Air India that it may hire replacements if they continue their nearly three-week walkout, after talks failed to make any headway. “We can think of hiring new pilots,” Civil Aviation Minister Ajit Singh said late Friday. Over 200 pilots went on strike earlier this month over former Indian Airlines pilots, who moved to Air India when the domestic and international carriers merged in 2007, being trained for new Boeing 787 Dreamliner planes. The strikers say the plan to allow the ex-Indian Airlines to pilot the Dreamliners could wreck their career prospects. “We can think of hiring new pilots,” Civil Aviation Minister Ajit Singh said late Friday after a 90-minute meeting with the Indian Pilots’ Guild ended without a breakthrough, the Press Trust of India reported. Singh’s meeting was the first between the government and the pilots since the start of the strike, which has forced the cancellation or rerouting of flights to New York, Chicago, Tokyo and other international destinations. The dispute with the debt-laden carrier has now spread to cover service conditions and wage agreements. The government has fired more than 100 of the pilots but has said they could be taken back on a “case-by-case” basis if all striking pilots return to work. The Air India pilots’ union insists its members will…. 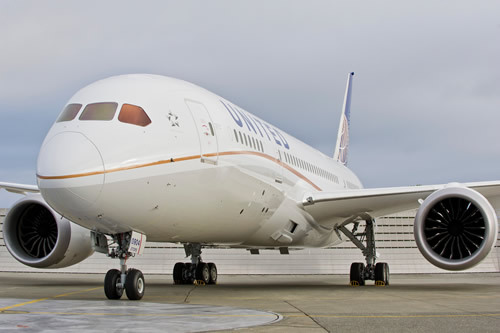 Read the full story at The NY Daily News…..
[9 News Now] WASHINGTON – Boeing’s 787 Dreamliner landed twice in Washington DC today, at both Dulles International Airport and Reagan National Airport, as part of its worldwide tour. Boeing will take the 787 Dreamliner to just two more cities to conclude the sixth leg of the Dream Tour this month. Stops over the last few weeks have already included cities in the U.K., Norway and Italy. The tour continues later this week …….. The dates listed below are landing dates for each city or airport. 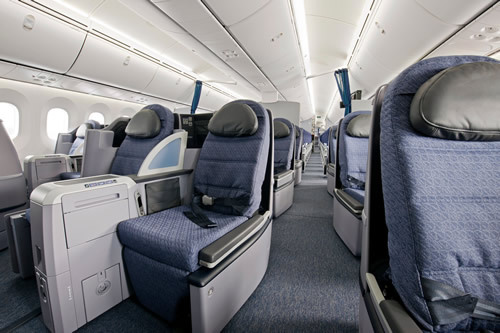 “The 787 Dreamliner applies breakthrough technologies to an all-new airplane design. The advanced features of the 787 increase efficiency, simplify airplane ownership and operation and significantly improve the air travel experience,” representatives from Boeing said in a news release. Boeing states that it is the company’s most fuel-efficient airliner and the world’s first major airliner to use composite materials for most of its construction. See the story and pictures at 9 News Now…. [Business Standard] Japan Airlines (JAL) will become the first carrier to bring a Boeing 787 Dreamliner to India when it lands the aircraft in New Delhi from Tokyo tomorrow. “With the launch of the Dreamliner, India will become the second country in JAL’s operations to get this special high-end aircraft. This reiterates our commitment to the Indian market. 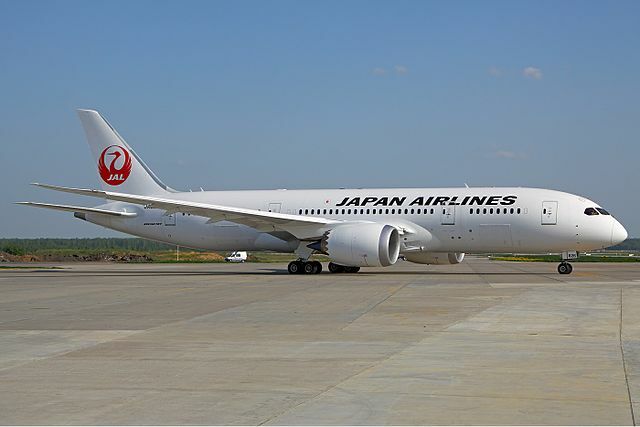 The first Dreamliner service will be launched in India from tomorrow,” said country manager Yasushi Isomura. Japan Airlines runs Boeing 777 service five days a week, on Tuesday, Wednesday, Thursday, Friday and Sunday. The Dreamliners will operate for four days, excluding Thursday, when the airline will operate Boeing 777. Rad the full story at India’s Business Standard…..
[The Indian Express] Amid great fanfare, Boeing has rolled out the first 787 Dreamliner aircraft produced at its brand new plant in South Carolina and built for Air India to be delivered in mid-2012. The airplane’s rollout marks the first time that a Boeing commercial airplane has been produced in the Southeastern United States, the US aerospace giant said. “This is a proud moment for Boeing as we roll out an airplane from our third final assembly site,” Jim Albaugh, president and chief executive officer, Commercial Airplanes said yesterday at the function held in North Charleston. The 787 airplane built for Air India next goes to the flight line, where it will go through systems checks and engine runs in advance of taxi testing and first flight. 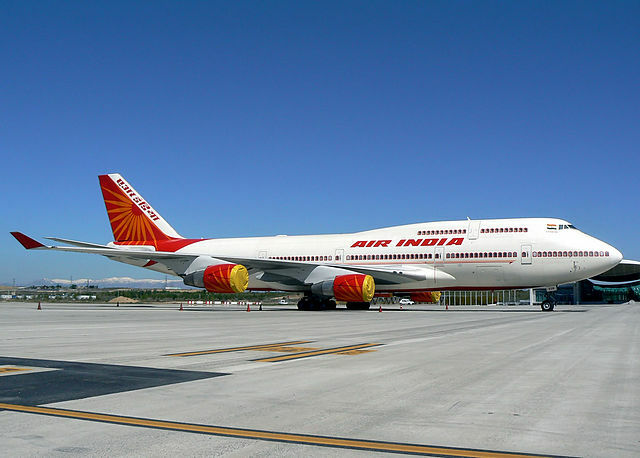 The airplane remains on schedule for delivery to Air India in mid-2012, Boeing said in a statement. While Air India has ordered 27 of these new planes, Jet Airways has placed orders for ten. The national carrier is expected to get at least three of these air-planes this year. The long-haul aircraft made of composite materials like carbon fibre, is portrayed as fuel-efficient aircraft which would help slash flying costs significantly. 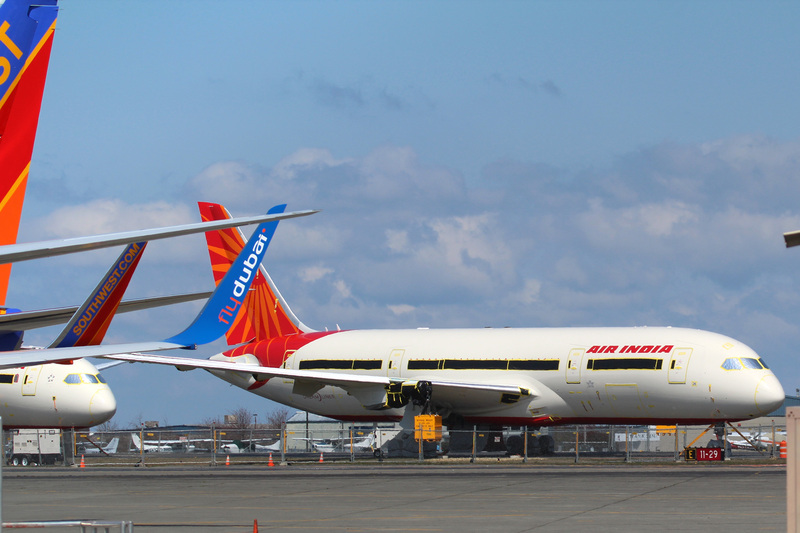 “We’ll celebrate today, and tomorrow we begin the process of getting the airplane ready for delivery to our Air India customer,” said Jack Jones, Boeing South Carolina vice president and general manager. [Independent] UK growth is being “undermined by Government policy”, the head of British Airways’ parent company said today. Walsh "it's a terrible shame that Government policy in the UK is damaging our ability to connect with these Asian markets." Airlines were facilitating growth but the Government had to understand that it was hampering growth, said Willie Walsh, chief executive of International Airline Group (IAG). Speaking at Heathrow airport today, Mr Walsh said Prime Minister David Cameron had been promoting UK trade in Asia of late. Mr Walsh went on: “UK growth is being undermined by Government policy and that’s a terrible thing to have to say. Mr Walsh is keen to see the Air Passenger Duty (APD) airport departure tax scrapped as well as Heathrow being expanded so that Britain can connect with vital Asian markets. However, the Government has ruled out a third runway at Heathrow. Asked about the ability of Heathrow to cope with the Olympic Games traffic this summer, Mr Walsh said the problem of immigration queues was not just about Heathrow but about “inadequate resources”. He said Heathrow was a “fantastic airport” but efforts to improve things there were being “undermined” by this lack of resources. Read the full story at The Independent…. Addis Ababa, April 17, 2012 – Ethiopian Airlines will be the first to operate the 787 Dreamliner in Africa, Ethiopian CEO Tewolde Gebremariam said. While in Seattle to meet with Boeing executives to discuss delivery of the airline’s first 787 Dreamliners, Tewolde took a special tour of the airline’s first 787 to be delivered later this year, according to a statement Ethiopian sent to ENA on Tuesday. The statement said Tewolde met with President and CEO of Commercial Airplanes, Jim Albaugh as well as 787 vice president and General Manager, Larry Loftis and other program leaders to talk about the airline’s first delivery and to receive an update on the 787 program and production. “All of Ethiopia is excited about the delivery of our first Dreamliners and the whole country can be proud of being the first in all of Africa to receive this game-changing airplane,” the statement quoted Tewolde as saying. Ethiopian Airlines was the first African airline to order the 787 Dreamliner when they placed their order for ten 787s in February 2005. The airline currently operates an all-Boeing fleet of 737,757,767 and 777 airplanes in passenger service and a 757, MD11 and 747 in cargo operations…. Read the original story at NewsDire.com…..